 Georgia is all about you and your work; there is no doubt with this template. An engaging patchwork collage of your work draws your clients in while the minimalist menu at the top invites them to learn more.Georgia is all about you and your work; there is no doubt with this template. An engaging patchwork collage of your work draws your clients in while the minimalist menu at the top invites them to learn more.Georgia is all about you and your work; there is no doubt with this template. An engaging patchwork collage of your work draws your clients in while the minimalist menu at the top invites them to learn more.Georgia is all about you and your work; there is no doubt with this template. An engaging patchwork collage of your work draws your clients in while the minimalist menu at the top invites them to learn more.Georgia is all about you and your work; there is no doubt with this template. An engaging patchwork collage of your work draws your clients in while the minimalist menu at the top invites them to learn more.Georgia is all about you and your work; there is no doubt with this template. An engaging patchwork collage of your work draws your clients in while the minimalist menu at the top invites them to learn more.